Of all the local neighborhood amenities that can influence a buyer's decision to purchase a home, proximity to good quality schools is one of the most influential. 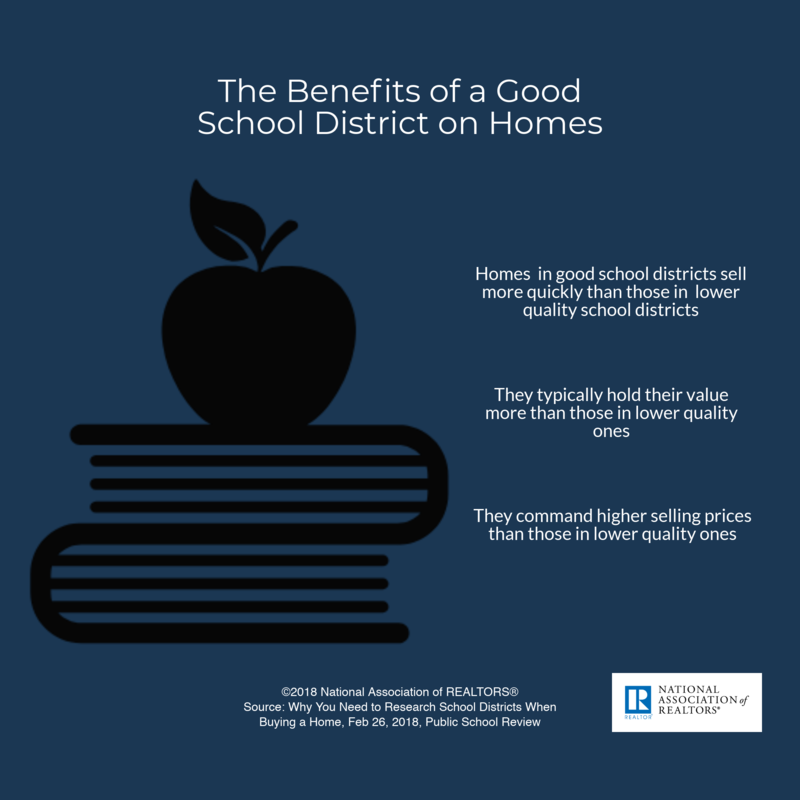 According to the National Association of REALTORS® 2015 Profile of Home Buyers and Sellers, 25% of home buyers listed school quality and 20% listed proximity to schools as deciding factors in their home purchase. Publishes information on all levels of education, from preschool to graduate school. A listing of private companies in the U.S. that provide reports on school districts is available on the Open Directory Project. GreatSchools: Your community resource to find and share information about schools. Neighborhood Scout: Receive patented school ratings and other data. Private School Review: Learn about private schools, find schools, get admissions tips, and financial aid help. Project Appleseed: The national campaign for public school improvement. School Digger: Ranks schools on a 5-star system, and also shows rankings by test scores. The quality of public schools influences where people buy a home and what they pay for it. A new study by Redfin illustrates the price premium home buyers are willing to pay in order to live in a top-ranked school district. A new search function the brokerage is highlighting allows buyers to more easily search for homes within specific school boundaries.